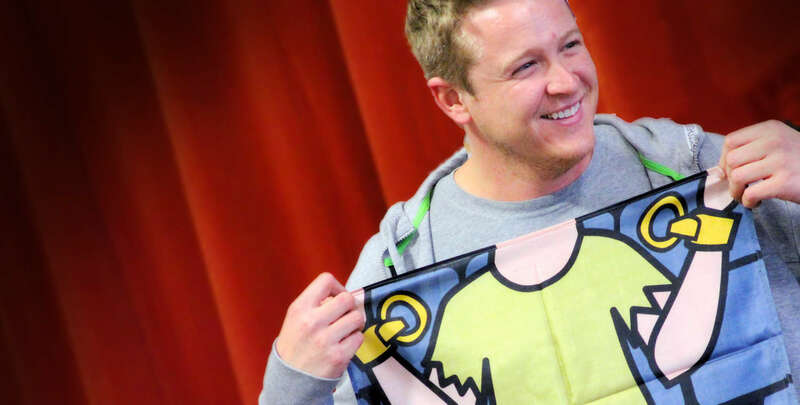 Magic, Music & Mayhem + Ditzy Doodles = a bonkers Kids Party! Amazing magic, music, and mayhem party!!! Honestly, it’s as easy as 1, 2, 3! 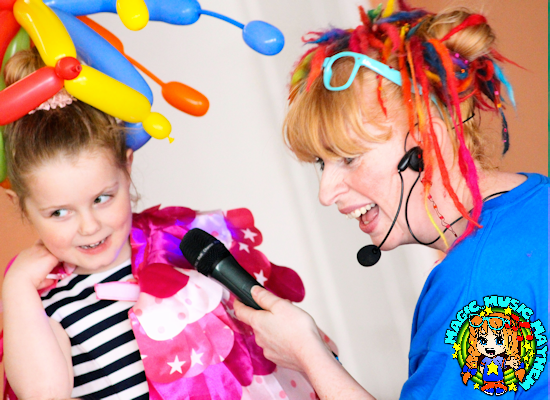 Ditzy Doodles loves to party across Cheshire and Merseyside, with NON STOP FUN from start to finish! In fact she loves to party soooo much, you might see her in the shops raving uncontrollably like a crazy cat lady with fleas! And, you might see Ditzy Doodles having a race with a Party Poodle, just because she is a nutter! But, you will never see Ditzy Doodles eating Noodles because she is a slobber chops! Too much info? A potty party full of INTERACTIVE FRUIT LOOP FUN with NONSENSE MAGIC, GOOFY GAMES and a SERIOUSLY DAFT DANCE OFF, with the BIRTHDAY CHILD taking centre stage to become the STAR OF THE SHOW! Children have birthdays every day of the week? I know, how mad is that?!? So, why not invite Ditzy Doodles to come along to your midweek party? It leaves your weekend free to catch up on other activities, like leaving the kids at home with their nutty Nanna (please insert any generic relative if you don’t have a nutty Nanna) to do all of the chores so you can pop out for the evening with your partner in crime for a loopy juice or two, or to fall asleep in the cinema with popcorn on your face (it’s not an attractive look gents!). Anyway why on earth would you want to go out without the kids, you will only panic because you don’t know what to talk about anymore, so go on take the kids out at the weekend! Do the right thing – be a Dad Taxi, let’s face it our kids have a better social life than us grown-ups at the weekend, then you can have their party on a Monday, Tuesday or maybe Wednesday, possibly Thursday or even on a Friday! Even the Big Kids love to join in! Perfect alternative to party bags! Each child will take home a token balloon model. Model examples inc. flower bracelets, aliens, 2 balloon sword, hats etc. Perfect take home gift for budding magicians contains tricks to perform with your wand! Wands are NOT to be used for picking your nose!